Now available online, new pieces of Tovi Farber jewelry. Handmade in Tel Aviv, we received three earrings and two necklaces made with precious and semi-precious stones and 18k gold. 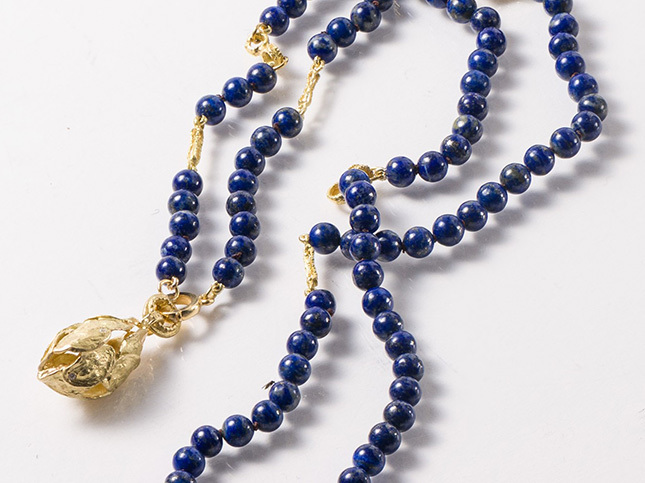 The organic gold details contrast with the smooth lapis beads, while the grey pearl are just as irregular as its gold finishing. White diamonds reflect light and rough diamonds a subtle yet gorgeous.